A warm and friendly welcome awaits you at Xheko Imperial known as Hotel President located in a quite corner of the very trendy area of Tirana known as “The Blloku”. 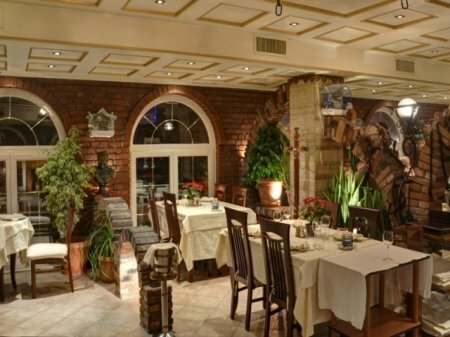 Xheko Imperial offers high western standards combined with Albanian traditions and hospitality. It’s proximity to many, state and private institution as well as some of the most important foreign missions operating in Albania at present, make Xheko Imperial an easy choice for business people and tourists alike. Furthermore with the Tirana Park only minutes away, this hotel offers is an excellent choice for healthy jogging on the fresh air. The interior offers a deluxe cosy atmosphere, with a hint of Mediterranean architecture easily distinguished in the use of its terracotta tiles. The intimacy, commodity, distinct architecture, and excellent service offered in this hotel have made it so popular that many locals and even foreigners use it as an orientation point for that particular area of the city. Xheko Imperial known as President Hotel has 3 double rooms Premium, 3 twin rooms Premium, 9 single rooms Premium, 6 De Luxe rooms, 9 Imperial rooms and 1 apartment. Please Note: The cheapest price for a single room that appears below is that of smaller rooms, with only one single bed.